Party Poker is running its second KO tournament series of the year from Sunday and packing 226 events into eight days of action. 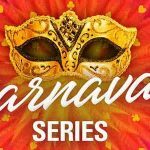 However, many of the events have lower guarantees than before and, in order to maintain a $10 million series guarantee, the site has added sixty-two more tournaments to the schedule. At the end of February, Party Poker hosted its first ever tournament series comprising completely of Progressive Knockout (PKO) events. The series consisted of 164 events, was guaranteed for $10 million, and was fairly successful. Consequently Party Poker has decided to run it again from Sunday 3rd June to Sunday 10th June. In February there were seven Championship Events. Now there are four. 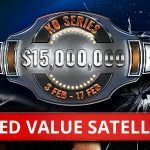 In February, there were three events with $1 million guarantees. Now there are none. In February, there were three “Ladies-exclusive” events. These too have bit the dust. Although it is understandable that any site would want to reduce the potential for overlays and scrap loss-leading tournaments, the impression is Party Poker has quickly cobbled together a tournament series because it feels it has to. You can almost imagine the conversation in Party Poker´s Gibraltar HQ: Oh look. PokerStars is doing this, this and this. Shouldn´t we be doing something? Despite what is effectively a 38% reduction in prize money, there are still plenty of positives to look forward to in the KO Series V2. Groups of up to seven games with buy-ins from $1.10 to $1,050 start simultaneously every two hours from 3:00pm (GMT), with up to three hours of late registration during which a maximum of two re-entries are allowed (freezeout tournaments excluded). 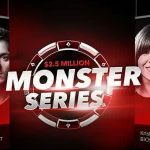 One of the biggest positives of the series is that Party Poker recently stopped charging rake on the knockout element of the buy-in. 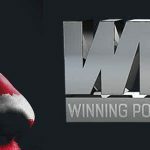 Therefore, when a player enters a knockout tournament with a $55.00 buy-in, $25.00 goes towards the prize pool, $2.50 is paid as a fee, and the remaining $27.50 is the bounty on their head. When you knock the player out, you receive $13.75 of the bounty, and the other $13.75 is added to the bounty on your own head. Another positive of KO Series V2 is the leaderboard competition which favours low buy-in players. The reason for this is that leaderboard points are awarded per knockout regardless of what stakes you play at. As there will be more players participating in the lower buy-in tournaments, there will be more leaderboard points available to be won than in the higher buy-in tournaments. 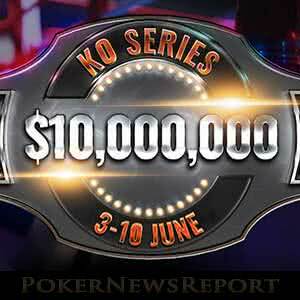 The KO Series leaderboard competition is giving away $25,000 to the most (successfully) aggressive players, with the winner of the competition picking up $2,500. In total there are five hundred players who will cash in the promotion, plus each player´s finishing position will also count towards their position in the ongoing MILLIONS Online leaderboard promotion. If you intend playing in Party Poker´s KO Series V2, don´t forget about the site´s World Cup Click Card Championship promotion. Although the promotion doesn´t start in earnest until the start of the World Cup on June 14th, players can opt into the promotion from this coming Friday (June 1st) and be allocated into a team. Entry into the promotion is free for every player with a real money account at Party Poker and, as every player is guaranteed to win a prize of some nature, it is definitely worth visiting Party Poker over the next couple of weeks – even if you are unimpressed with the KO Series V2.